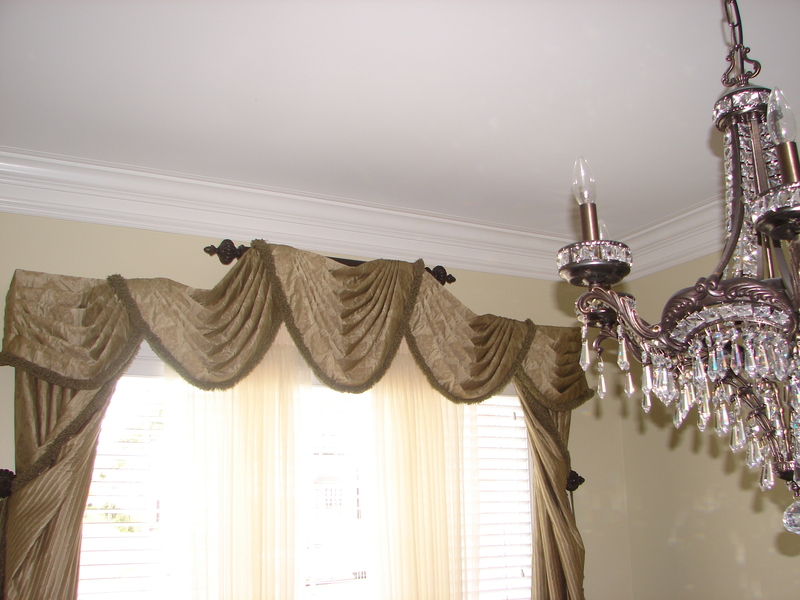 Often I am asked, what makes your drapery designs different? My answer is, I pay great attention to the details. 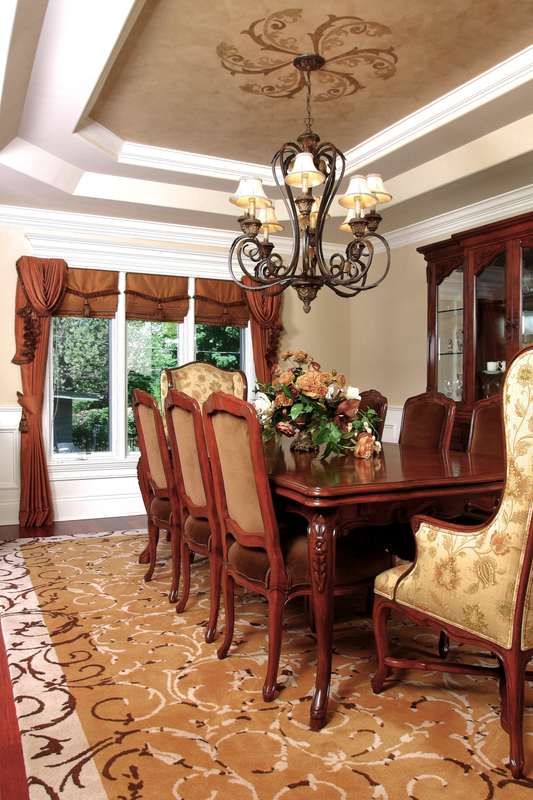 The fabrics: finding the right fabric and mixing it with an accent. The hardware, often we design our own. Details that adds the punch. 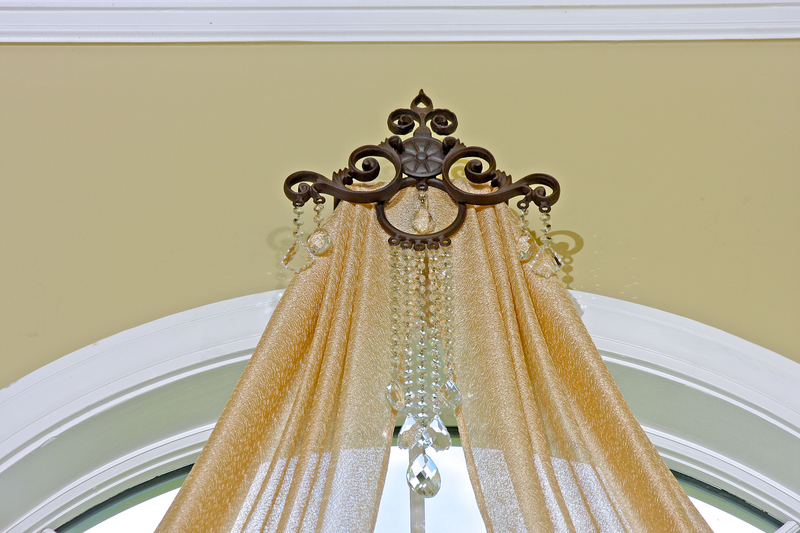 Make sure the draperies enhances the over all design of the room. 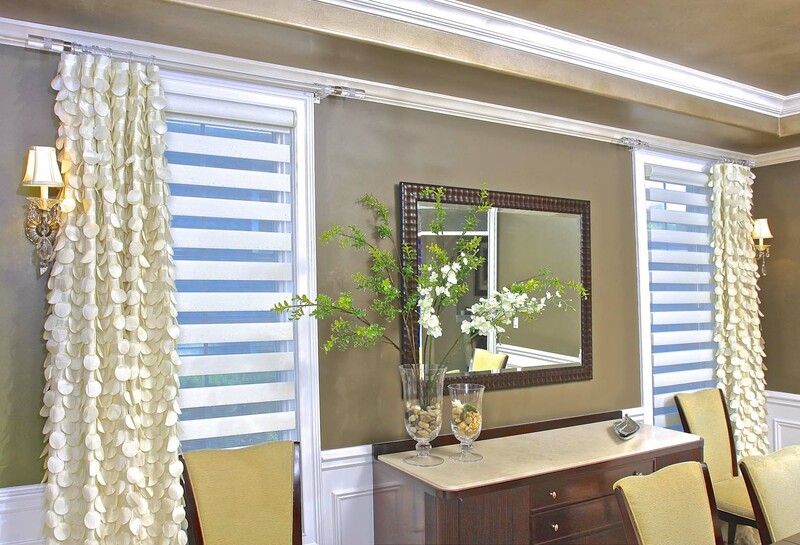 The window treatment consists of two layers, Allure shades for privacy, and stationary side panels for warmth, style and sophistication. 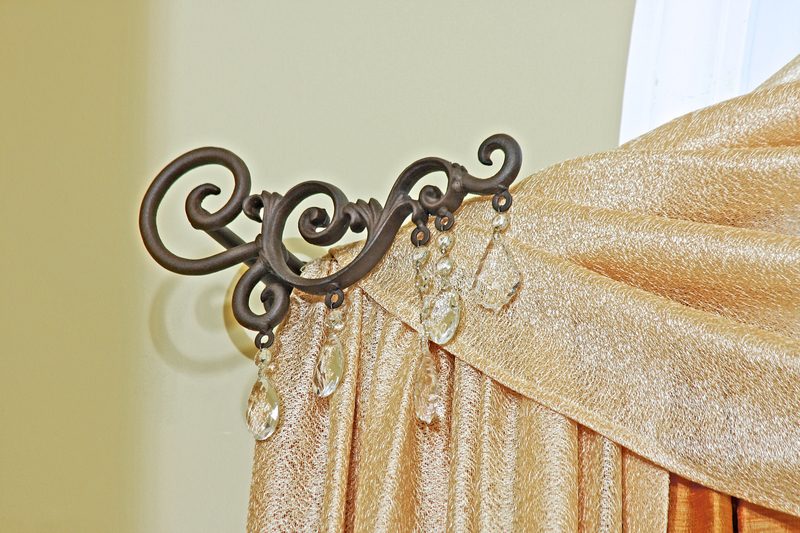 Drapery details is what make them stand out! We have heard it a million times before, and I am going to say it again: When it comes to design, it is all about the details. 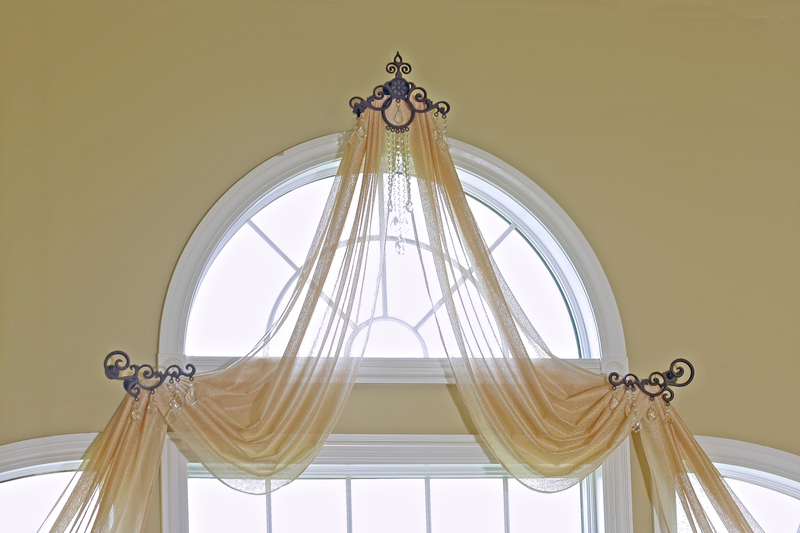 Take a look at the balloon valance below. 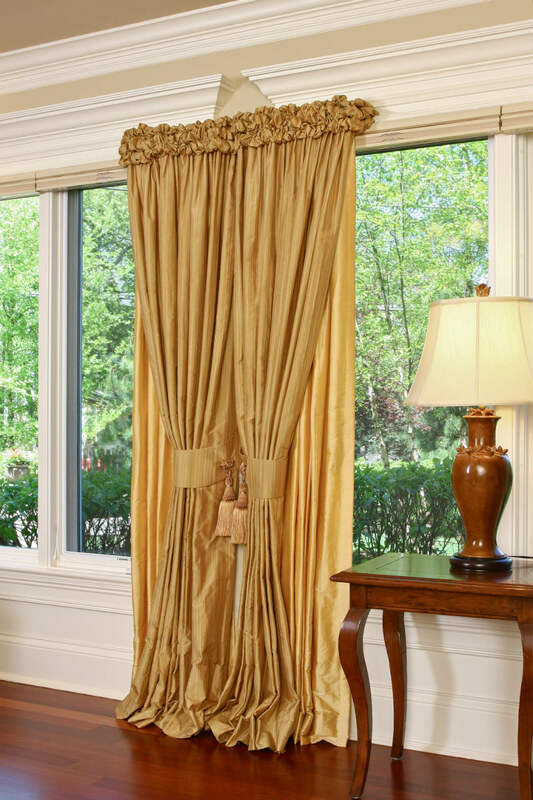 The fabric is a beautifully, smooth silk that matches the roman shade. 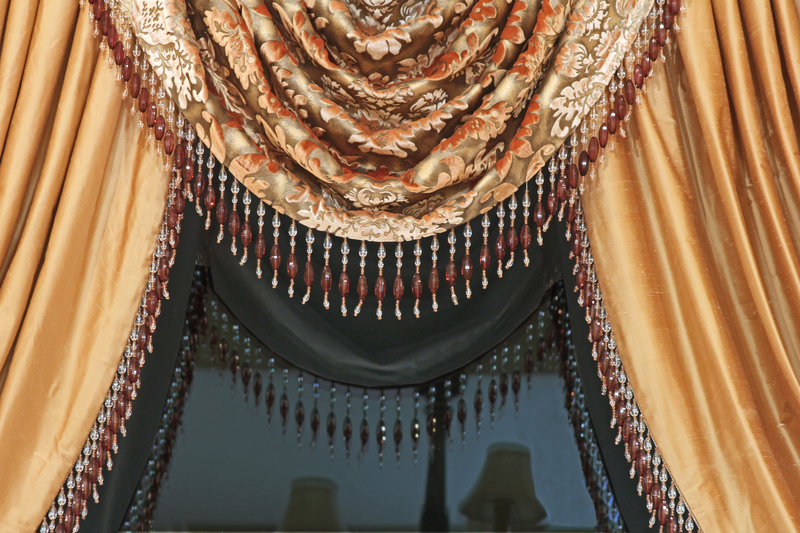 We added a ripe mango colored silk as a ruffle, then inserted a bustling fringe between that ruffle and the valance body. 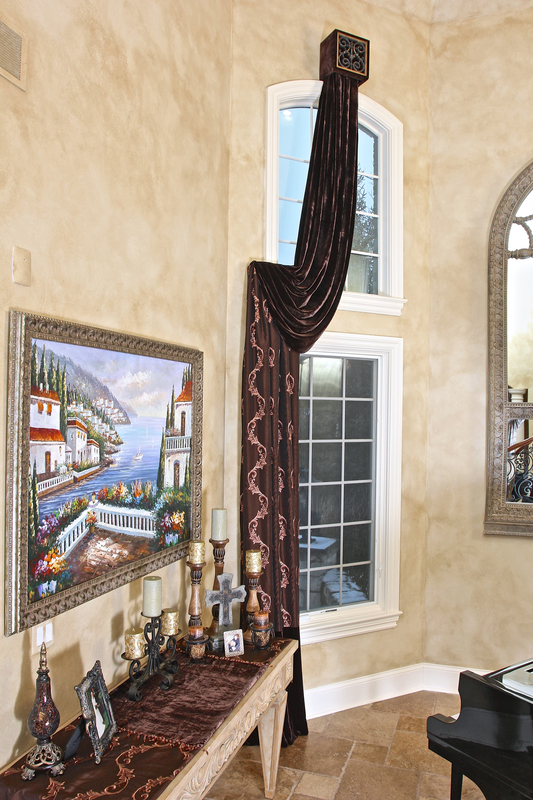 Don’t you think the results here are elegant and sophisticated?